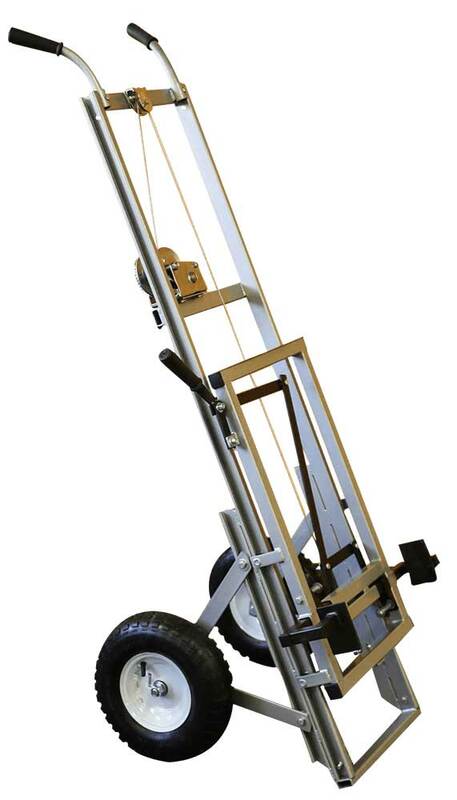 BeeHiveLifter is a lifting equipment that helps Beekeepers enjoy their hobby. 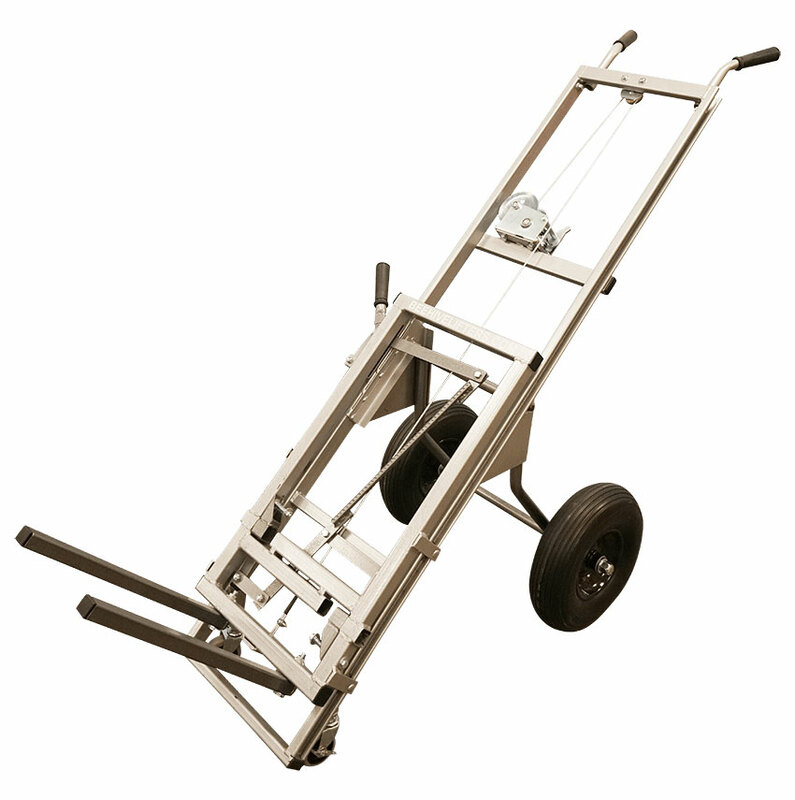 The lifter is a combination of thoughtful, tested engineering and modern technological advancements. But do beekeepers really require a beehive lifting trolley to help them out? Think about the back pain you got every time you worked upon a hive, and you will get your answer. BeeHiveLifter is the tool that helps you to work more efficiently without the extensive physical efforts. The general process of extracting honey involves spotting the full hives, lifting them up, placing on the ground, and then lifting them back up, after the job is done. Despite the level of your athleticism, the heavy hives can easily ruin the back muscles and cause bone pain. 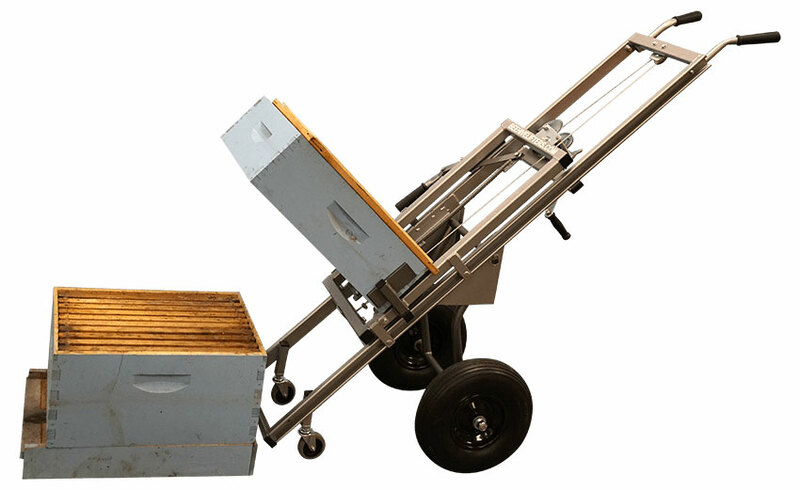 Beehive lifting tool provides a mechanism that lifts the bee hives for you. It is easy to use for lifting the hives and putting them back into place. Untimely, it's the same process, yet the physical work is placed on the Lifter. 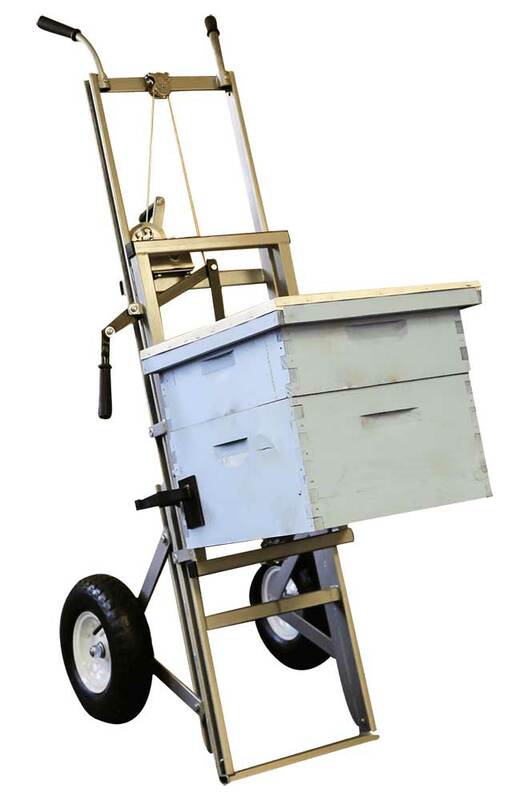 Our bee hive lifter trolley will save you time, energy, and back problems. 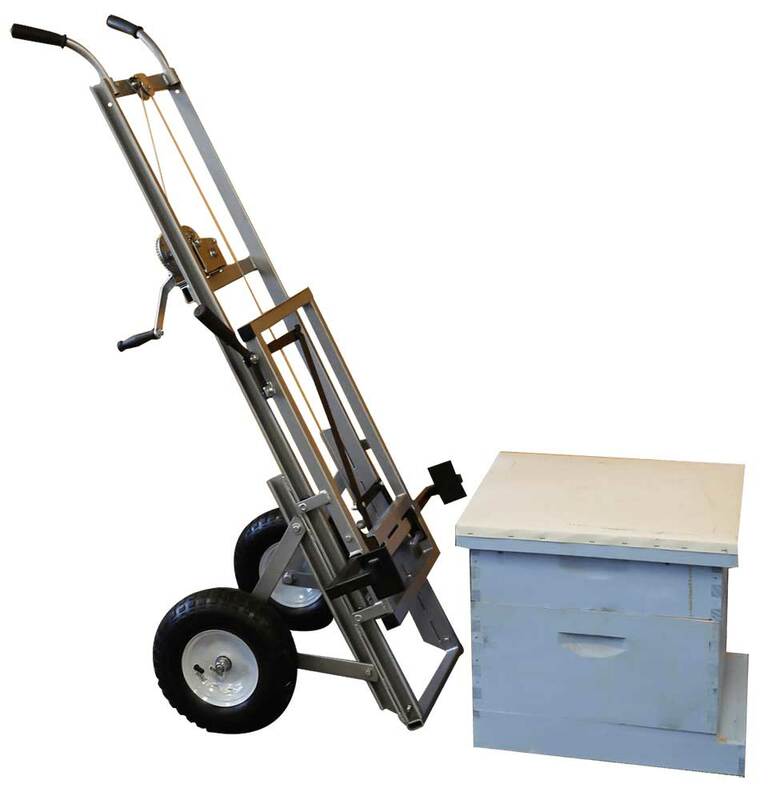 Our Bee Hive Lifter is pleasantly easy to understand. The mechanism is very simple and requires no special efforts. Push down the handles on both sides to tightly hold the hive. The BeeHiveLifter is easy to transport and doesn't require a lot of space for storage. It has helped many people especially with back problems to continue with beekeeping without hurting their body. 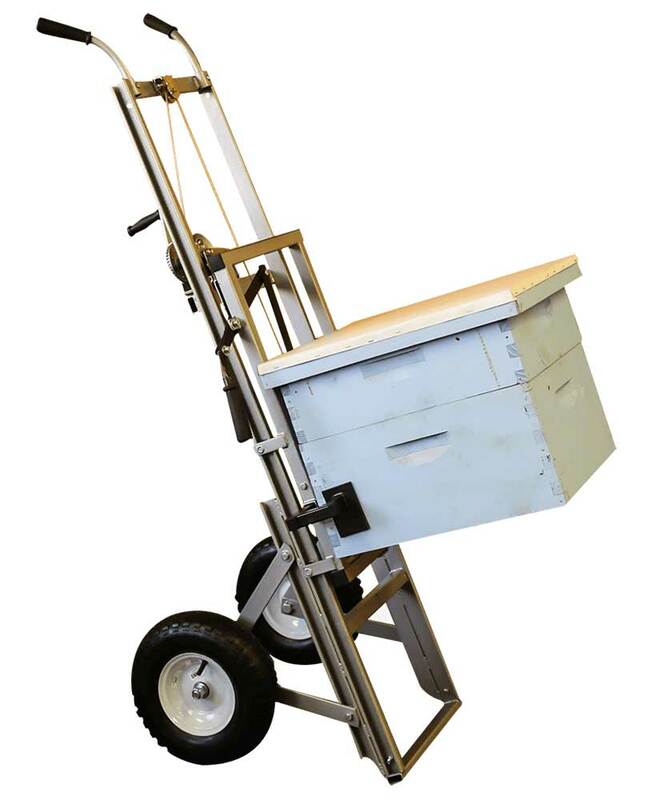 However, our beekeeping cart lift is suitable for anyone who wants to get the work done without too much effort. ​The position of the wheels could easily be adjusted to a narrow or a wider state. 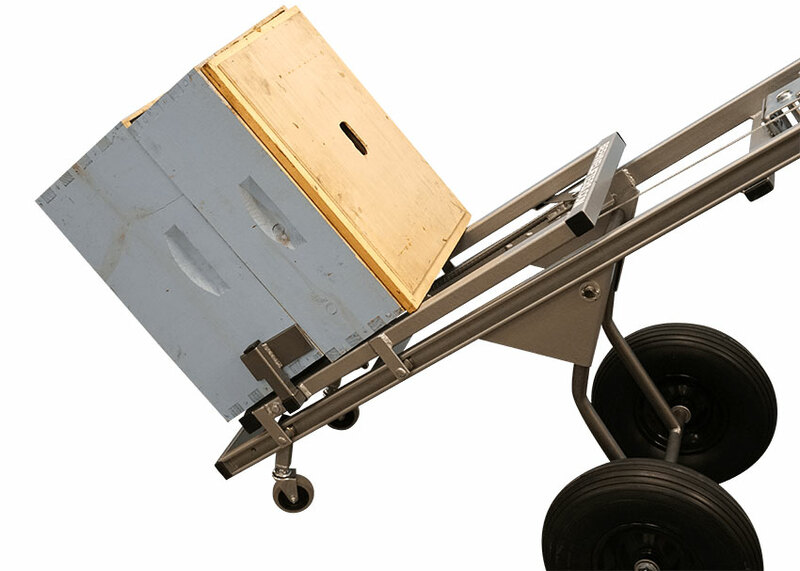 A wider position of the wheels keeps our beekeeping cart lift balanced when objects are moved, transported. And the narrow position helps to move along windy paths. BeeHiveLifter is not restricted to lifting just beehives. 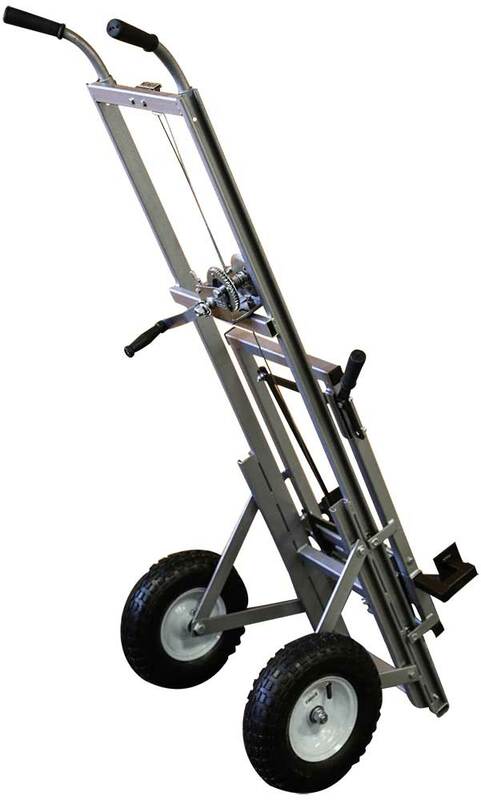 By adding two steel frames, you could convert it into a forklift and use it to lift a variety of loads like bags, barrels or pretty much everything less that could be fit in the grip. Beekeeping might lead you to far away corners in hopes of honey. 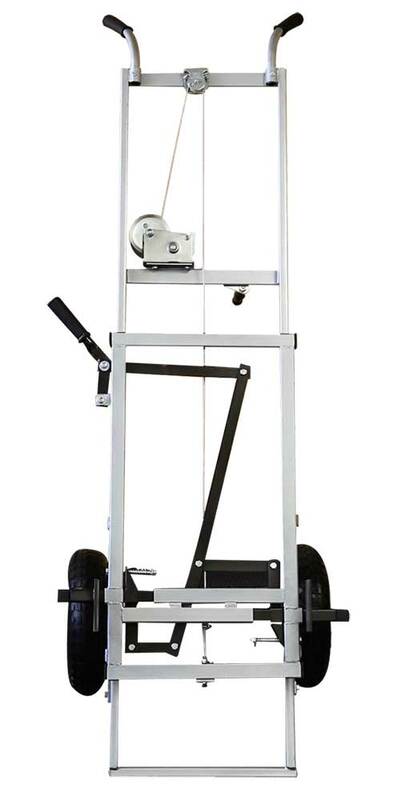 It is fortunate that our beehive lifting device fits into your car trunk easily so that you can carry it along with you wherever you go. Every beehive is different, with different shape and size. However, BeeHiveLifter works with the two side handles that could be adjusted as per need. Thus, you could use it to work with almost any type of beehive without trouble. 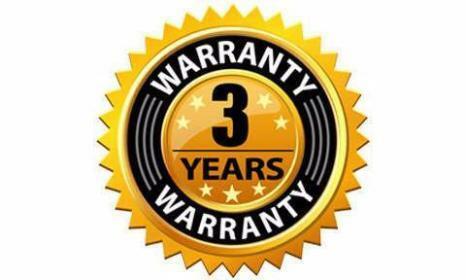 We can make it suitable for 8 frames as a special order for the same price. BeeHiveLifter is simply a genius device to solve the troubles related to beekeeping without costing your pockets or brains too much. You can easily buy beehive lifter in the USA and become a happy owner of this unique tool. No more back pain for you.